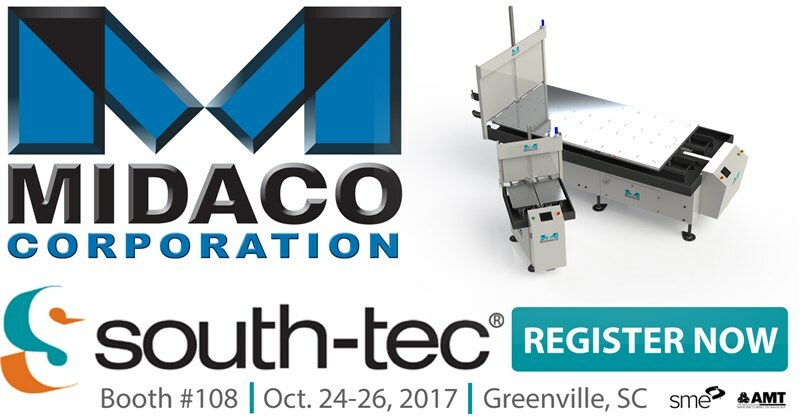 MIDACO is excited to be a part of #SOUTHTEC_Expo this year and we would love to see you there. Register at the link above for a free pass. Don’t forget to plan to visit our booth #108 while you’re at the show! See how MIDACO's Automatic Pallet Changers and NEW Trunnion System can increase your Machining Center's productivity and decrease downtime to help you get more parts out the door! SOUTHTEC_Expo is at the TD Convention Center in Greenville, South Carolina October 24-26. See you there!